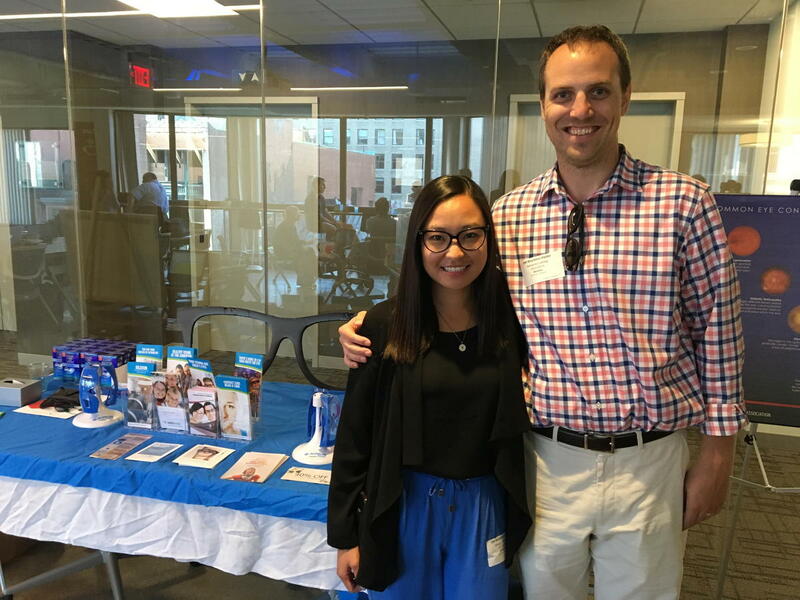 On Thursday, August 23, 2018, Lickteig Family EyeCare had the pleasure of being featured at WorkBar’s Happy Hour in Boston's Back Bay. WorkBar is a network of workspaces located throughout Greater Boston. Dr. Benjamin Lickteig, Dr. Melissa Tom-Kun, and Dijana Kadic were warmly welcomed by the Back Bay WorkBar's community managers, Lauren and Warren, upon arrival. Several WorkBar members were inquisitive from the start; but many more became intrigued as the featured team of eyecare professionals challenged those gathered to complete certain tasks while wearing special glasses made to simulate the symptoms and impact of glaucoma, a serious and oft-overlooked eye disease. Many interesting topics were broached, but the following theme came up again and again over the course of the evening: “I spend a lot of time on the computer. Does that have any impact on my eyes?” In fact, prolonged computer use can adversely affect eye health and vision. Computer Vision Syndrome, also referred to as Digital Eye Strain, is the clinical term used to describe the set of eye-health/vision issues that stems from extended and relentless focusing on lit screens (for work and/or entertainment). The harmful effects of this syndrome typically increase proportionally with the amount of an individual's digital screen use. 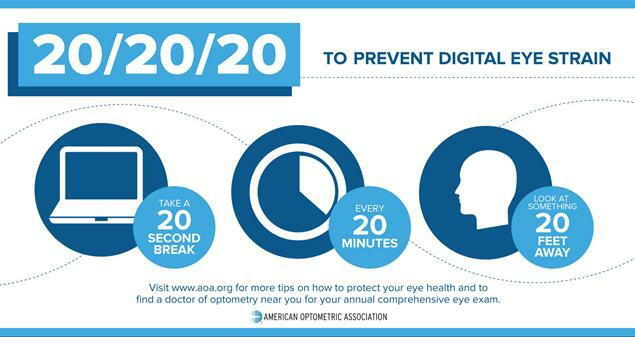 While it may be difficult for us to avoid using digital devices in our everyday activities, the "20-20-20 Rule" is a simple method that can alleviate digital eye strain. The rule runs as follows: for every twenty minutes that one devotes to digital-device use, view an object that is 20 feet away for 20 seconds. The Happy Hour provided by WorkBar Back Bay was a great opportunity for its members to take a break from the digital work-world and, at the same time, to chat about eye-health--with the added attraction of partaking of a delicious assortment of cheeses and hand-crafted cocktails. Thank you WorkBar Back Bay for inviting us into your space & welcoming us with your enthusiasm!